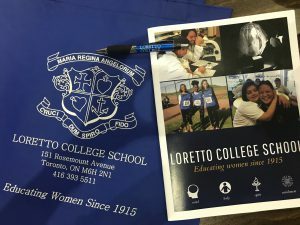 On October 17, 2018 Loretto College School opened its doors to guests, alumnae, soon-to-be students and their families. 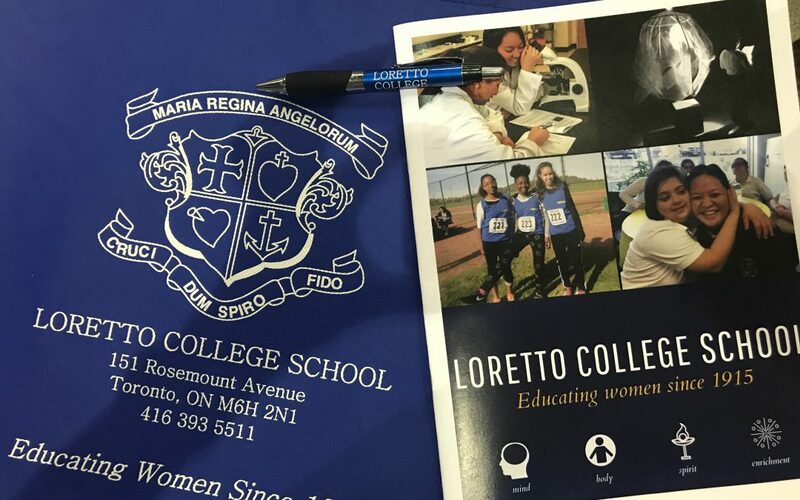 It was a great introduction to the Loretto community and an excellent reminder of why so many of us carry fond memories of our days at Loretto. Guests were treated to performances by the school band, the dance program and the drama kids. In an environment that nurtures both self-expression and respect for others it’s wonderful to see how the students can create new and beautiful works. Mrs. Strazar in the gym, is almost an institution of her own. She has worked tirelessly over the decades to educate and encourage young women to understand, respect and push their bodies. Even on this night in her pencil skirt and high heels, she was encouraging the grade 8 students to join in a game of volleyball and coaching them. Maybe we have some all-star athletes on the horizon? Visitors were encouraged to visit the different departments, collecting stamps on their “passports” to be entered in a draw for a new uniform. They saw a school that nurtures artistic expression, demands academic excellence and encourages women to explore disciplines that are not generally “girl-focused”. As the alumnae, it was great to see so many student volunteers continuing on the spirit of the Loretto community. It was wonderful to see the bonds, respect and admiration between staff and students. Although, we probably could’ve done without the excited high-pitched squeals of teenage girls. Were we like that? Probably. If you were unable to attend this year, we hope to see you at another event in the near future.